Sniff, sniff, mmmm! There’s something special about the aroma of that sweet, little corner coffee shop. The lingering scent of a creamy caramel latte, mixed with the boldness of jet-black espresso, brings a smile to my face. The dimmed lights and down-tempo tunes playing in the background set the stage for an ideal writing space. I settle-in, let the atmosphere inspire me, and begin to write. Arrange desks in two’s or small groups. Dim the lights or bring in lamps with soft lighting. Play calming, quiet music in the background. Create a Shurley Café sign. 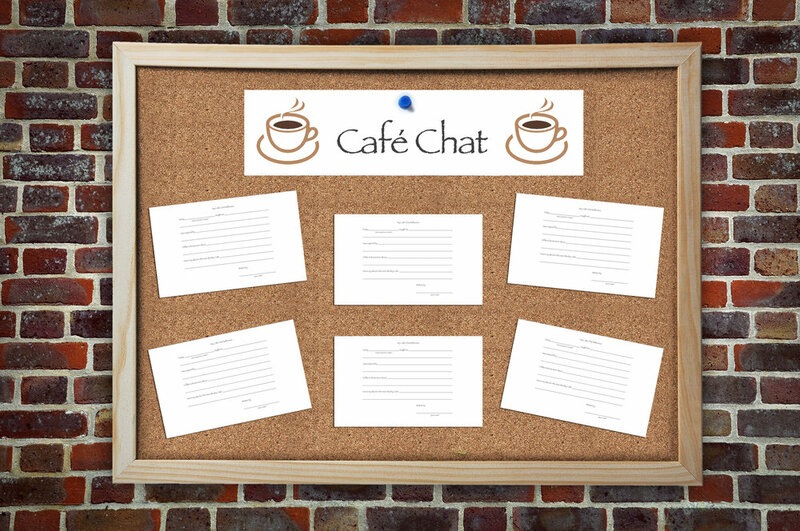 Create a Café Chat bulletin board. Make hot cocoa/cider to enjoy while the café is open. Invite your administration to the café! Turn this into an opportunity for silent reading, as well! Let’s write! Now that you have The Shurley Café ready to go, it’s time to start composing. Since it is holiday time, why not have students explore how other countries celebrate Christmas? Afterwards, they can compare it to their own family’s celebration. It’s a great way to learn about traditions around the world as well as the traditions of their peers while working through the writing process. 1. Assign different countries to students. 2. Allow time in your plans for students to research on the computer. 3. Check out some books that cover Christmas customs from around the world. 4. Make copies of a Venn Diagram. 5. Makes copies of the guided Café Chat reflection paragraph (example below). Research your topic using books or the computer during class. Take notes on your topic. Begin the revising and editing process in class, individually. Revise and edit with your partner, if time allows. Continue the revising and editing process. Share your composition with your teacher. Create an illustration that depicts your topic, if time allows. Thursday: The Shurley Café Day! Friday: The Shurley Café Day! Share your reflection with your partner or small group. Enjoy reading the Café Chat board while you sip your drink and socialize. Remember, you are still the leader of the room—more like the guide by the side in this scenario—so classroom management is very important. Be there to assist your students through the writing process. This is their opportunity to show you what they’ve learned! You can teach so much more than writing in an activity like this! Have an enjoyable experience and a peaceful holiday season!